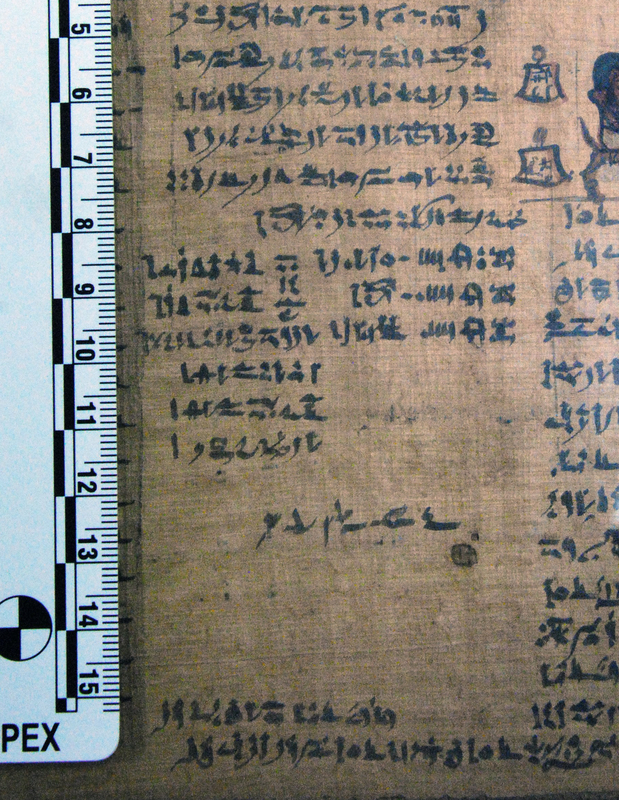 Many ancient Egyptian papyrus manuscripts inscribed with funerary compositions contain annotations within the text and margins. Some of these annotations relate directly to the production process for illustrating and inscribing the manuscripts by providing instructions for scribes and artists. Two overlooked examples, pKhaemhor (MMA 25.3.212) and pRyerson (OIM E9787), allow for new interpretations of parallel texts previously considered as labels or captions. An analysis of the corpus of scholia and marginalia demonstrates specific manufacturing proclivities for selective groups of texts, while simultaneously revealing a wide variety of possible construction sequences and techniques in others. Read the article in Journal of the Society for the Study of Egyptian Antiquities 42 (2015-2016), 69-82.